← Day 80: Midfield Wine Bar. Thankfully, this was not our ride. Road trip! Two sweet little words that can inspire so much mystery and excitement all at once. It was the May long weekend, and in honour of our country’s Commonwealth ancestry, I decided to celebrate the eve of ye olde Queen Vic’s birthday by joining a couple of friends for a bit of an adventure to regions unknown – well, at least, unknown to me. 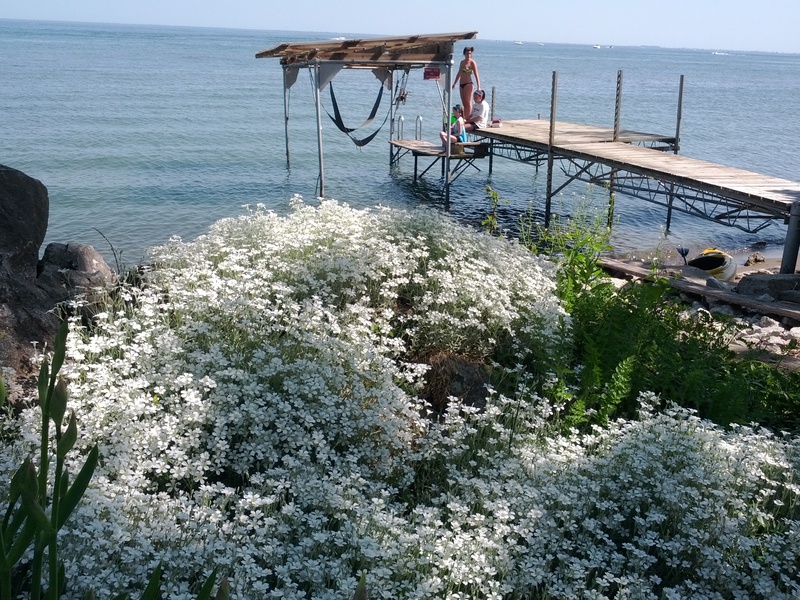 This took us around the Golden Horseshoe of lake Ontario all the way south of Hamilton into Norfolk County, home to Port Dover and its surrounding hamlets, nestled on another Great Lake, namely, Erie. The La La Boutique. No affiliation… yet. The first couple of stops en route were almost accidental, like when we spotted a large ‘Fish Tacos’ banner in one of the towns we were passing through. Naturally, this merited further investigation, as who doesn’t love fish tacos! 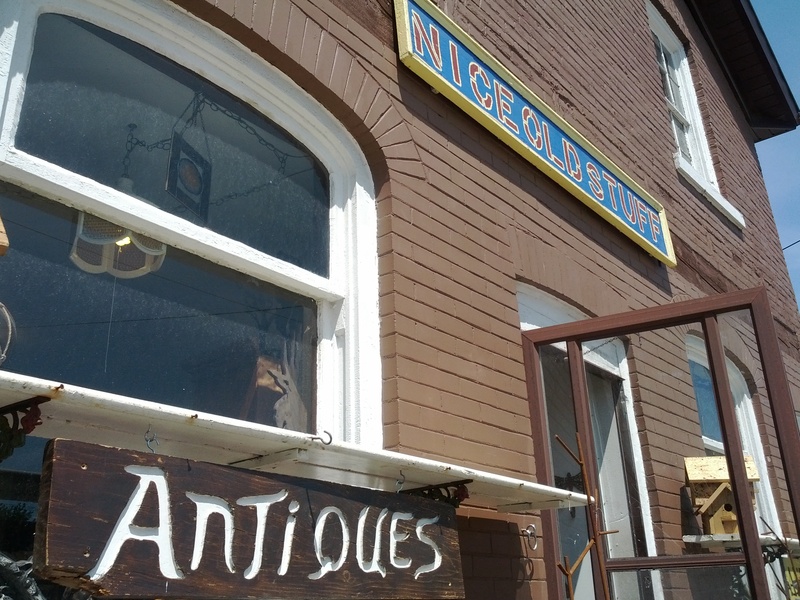 It turned out that the sign was a clever way to attract city folk, such as ourselves, to peruse the aptly named ‘Nice Old Stuff’ shop that was crammed to the rafters with someone else’s treasures. This disappointment was swiftly alleviated by the 99 cent breakfast sandwich I acquired at the immaculate Country Style doughnut shop just up the road. Delicious! This way to the start of summer variety show. It was with these renewed spirits that we entered the town of Port Dover, which has a decidedly Kellerman’s stuck-in-time summer resort vibe to it, a la Dirty Dancing. But don’t worry, Baby was not in any corner that we could find. We ambled up and down ‘the strip’ for a few hours, stopping for the occasional value-laden purchase, which for me, consisted of a couple of types of, what else, cheese, including one merlot-soaked cheddar from Wisconsin of all places that proved to be simply divine. 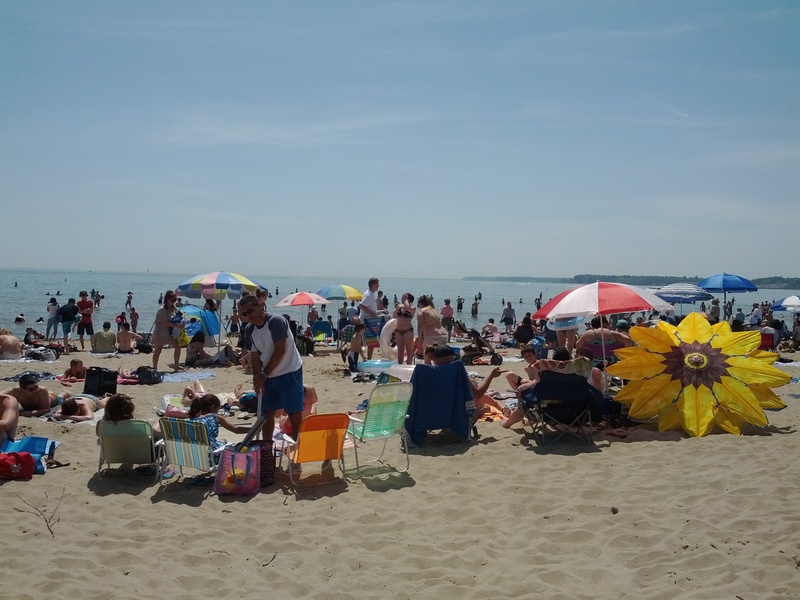 We dipped our toes into Lake Erie at the main beach in town, and I marvelled at the kids frolicking in the effing freezing water. 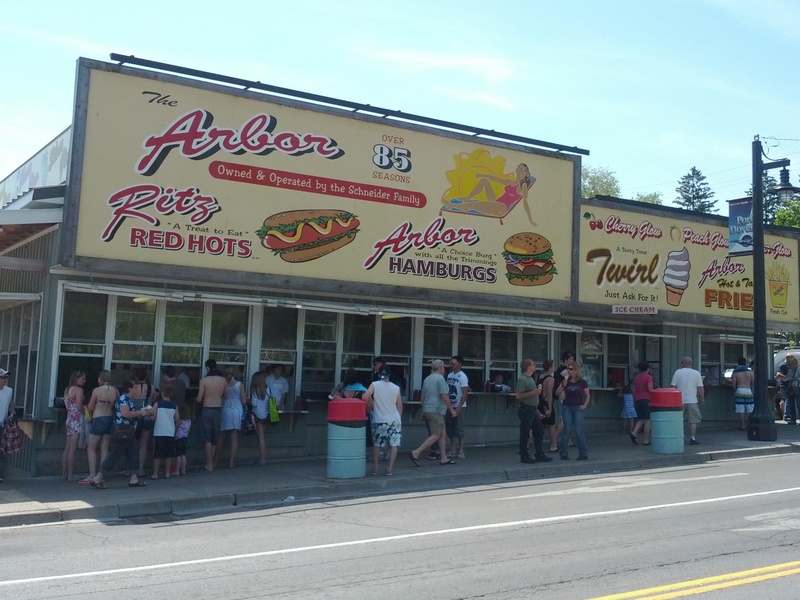 On the way back to the car, I stopped for the mandatory soft-serve chocolate dip ice cream cone at the infamous Arbor’s, which always seemed to be lined up for its hot dogs and Golden Glow, whatever the heck that is. From there, we briefly set down at Port Ryerse (inexplicably pronounced rye-er-see by the locals), passed through Fisher Glen, and stopped for a pee break and some yummy Brantford-imported kettle corn at Normandale‘s general, and possibly only, store. We continued along Front Road near the waterfront all the way to Turkey Point, where we once again immersed ourselves in local colour, by walking the laneway along the beach, and plopping ourselves down on a patio for some much needed refreshments. It’s not a long walk off this short dock. We wound our way back through the beautiful countryside more or less the same way through Jarvis, stopping at a roadside farm stand for some freshly harvested and locally grown delicious asparagus. Happy Spargelfest! Leave it to the Germans to infuse asparagus with vodka to create Spargeltinis. Hmm… That actually sounds kind of yummy. So yeah, besides that, I see cream of asparagus soup, asparagus omelettes, and grilled asparagus in my near future. Yum! 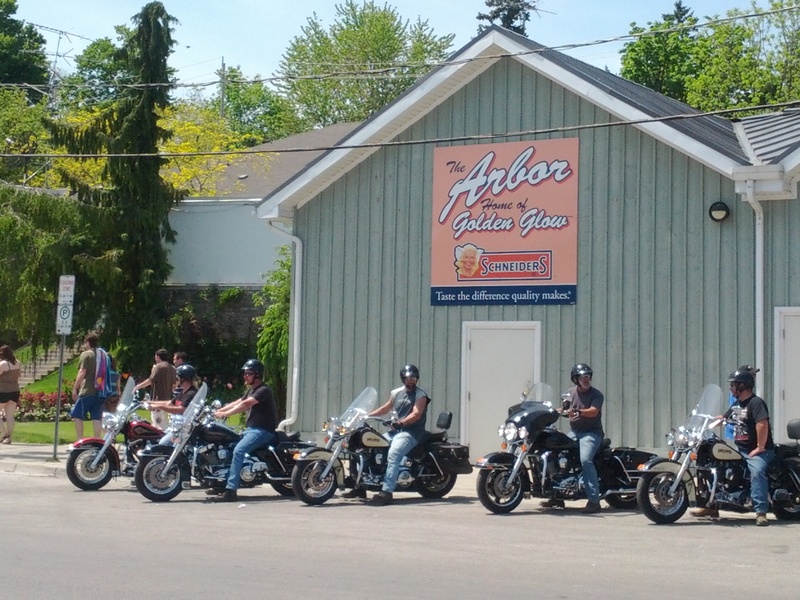 And with that, I officially declare: red rover, red rover, we call Port Dover, over. 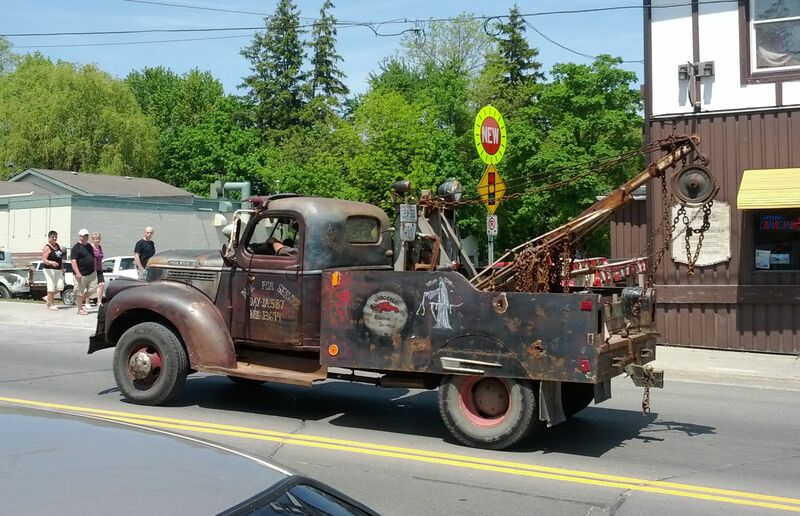 This entry was posted in Fun and Crazy and tagged Crazy, Friday the 13th, Fun, Golden Horseshoe, Great Lakes, Lake Erie, Lake Ontario, May, Norfolk county, Normandale, Port Dover, Port Ryerse, Toronto, Turkey Point, Victoria day long weekend. Bookmark the permalink.